The Malaysian government has just signed a new contract with Boustead DCNS Naval Corporation for through-life support for the two 2000 type Scorpene submarines of the Royal Malaysian Navy, based at Kota Kinabalu, Sabah. The contract signed at the end of March will remain in force for over two years (on May 31 2017). This new agreement makes it possible to extend the through-life support time for the two 2000 type Scorpène submarines currently in service before the beginning of their first major maintenance campaign. Indeed, the Tunku Abdul Rahman should start its period of unavailability for major repair and overhaul (ROH) in November 2015 and the Tun Razak in June 2017. 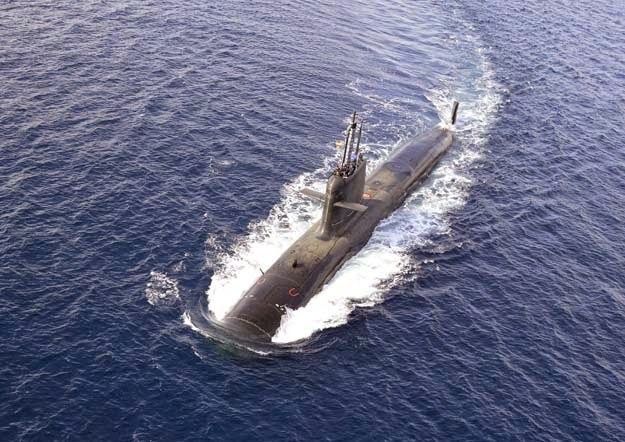 The contract also covers the operation and maintenance of the industrial infrastructures dedicated to the maintenance of submarines berthed at the Sepanggar naval base of Kota Kinabalu as well as part of the procurement required to carry out future ROHs. DCNS and Boustead Heavy Industries Corp Bhd (BHIC) thus consolidate their position as service providers for these two submarines through their joint subsidiary BDNC, owned by the two partners respectively holding 40 and 60%. Boustead DCNS Naval Corporation (BDNC) was set up in June 2009 to enhance the Malaysian strategic self-reliance and local participation. BDNC, through its industrial organization, supports and develops local industries. Up to now, more than 30 local companies have been involved and operate in the Submarine maintenance activities. This cooperation with the Royal Malaysian Navy offers BDNC the opportunity to play an important role in helping Malaysia to maintain and develop a submarine force. BDNC is completely committed to allow Malaysia to be in the exclusive club of navies with a submarine force. These two DCNS products were delivered to the Royal Malaysian Navy respectively in January and October 2009. The two 67.5 m long submarines displacing 1,550 tons are operated by a Malaysian crew of 31 and have an endurance of 45 days.